Gents, your necktie is the highlight piece of your suit. It's where you can make a statement, and show onlookers you took a little time to decide what you want them to see. 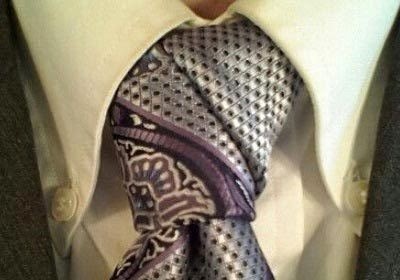 While the classic Windsor knot is nice, there are plenty of other ways to rock your tie. Perfect for light-colored ties and shirts, this one is great for a tie with one bold color. Wear this one with golds, silvers, or other striping that pops. Ladies love their fishtail braids. This is the Smooth Gentleman's equivalent. It gives a little spice to your look and is great for solid-colored ties. 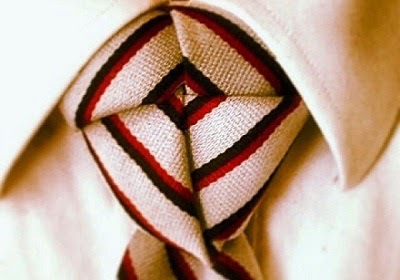 If you're hesitant to wear anything but a white shirt, you should make the most of this knot. The Diagonal is perfect for an evening out. 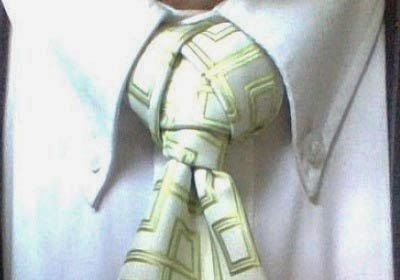 This one is best for low-key designed ties. 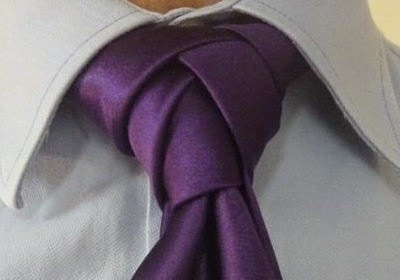 The knot is what takes the look up a level. It is best for ties with blues, grays, purples, and faint prints. My favorite. You can wear this one any day of the week--to the office or to the evening reception. It gives your look a boost, without going overboard. Try it on a random Wednesday. Ellie is a twist on the Eldridge, and adds a little more texture. 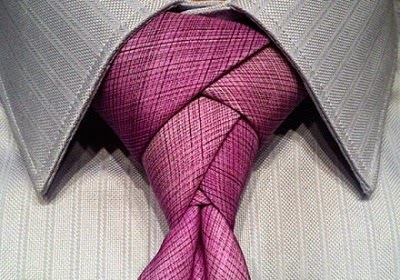 This is great for solid-colored ties. 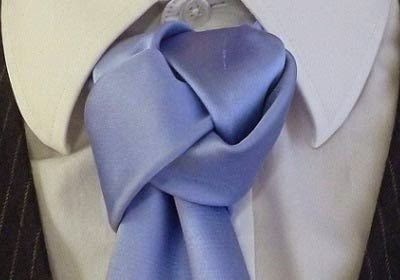 You can use this knot daily as well. No need to save it for any occasion in particular. Eric is best for textured ties. It's a cutting edge look, making your less jazzy ties a tad snazzier. You can get away with this at work, but it's nice for after hours, too. If you're a trendy Gent, this one is for you. 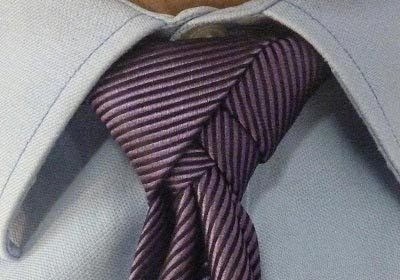 This loose-looking tie is for the guy who likes to dress on the edge. Wear this one when you're not trying to fit in--you're trying to stand out. 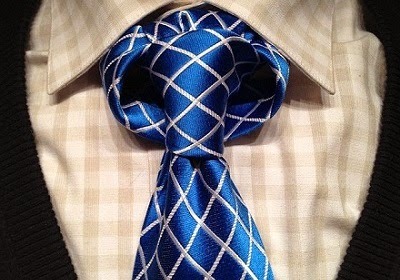 Rock this knot when you wear your smooth silk ties. This one is best for wide-collared shirts and makes fancily-designed ties stand out even more. 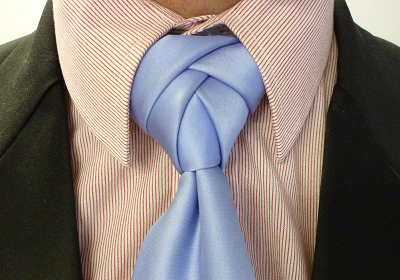 There's no way this knot won't turn heads. Try this one when you want to take a printed shirt up a notch. Novotny is similar to the Eldridge and Ellie, but better for silk ties. It's a layered look and draws the eye in. This one is perfect for special occasions. These 3 layers give your striped tie a whole new look. Trinity is good for everyday, and pairs well with wide-collared shirts. 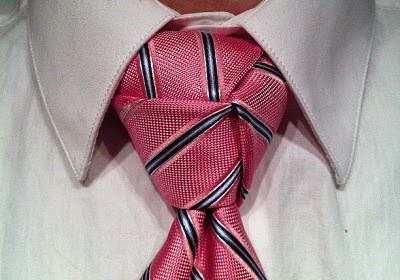 You can even do this one with checkered shirts. Switch it up with this one, Gents and see if she notices. 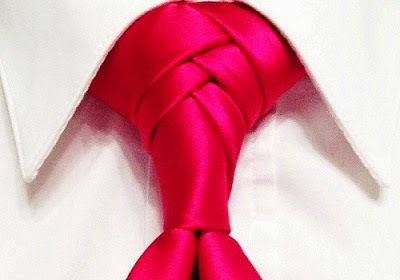 Tied like a bullseye, this knot is just right for a special night--whatever it may be. Use it with striped or dotted ties for the best look. Not impressed with these? Like them, but need a tutorial? Smoking Popes has more knots for you, and videos showing you step-by-step. Check them out!